SPOKANE, Wash. – U.S. News & World Report ranks Gonzaga University’s Graduate Accounting program the 16th (tie) best in the nation. The ranking is a reflection of the Gonzaga Master of Accountancy (MAcc) and Master of Science in Taxation (MSTax) programs, which currently enroll approximately 80 students. The graduate business program specialty rankings, which include accounting, are based on peer ratings from educators at other universities. Business school deans and program heads are asked to nominate top programs for the honors. “We are honored to be considered one of the best graduate accounting programs in the country. I think this ranking is a reflection of the quality of our students and faculty. It also points to our strong reputation with peer institutions throughout the country,” said Gary Weber, Ph.D., director of Graduate Accounting Programs. The Gonzaga accounting programs are separately accredited by the Association to Advance Collegiate Schools of Business (AACSB), a distinction earned by just 180 institutions worldwide. In 2015, the Gonzaga Graduate Accounting program boasted a job placement rate of 97 percent at graduation. In addition, 82 percent of the program’s students passed the CPA exam on their first attempt, well above the national average of 30 percent. This placed Gonzaga in the top 20 schools nationally for first-time CPA exam pass rates. 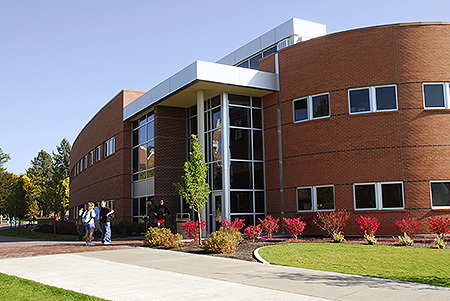 The Gonzaga University Graduate School of Business is home to innovative master’s level programs in business and accounting. For more information, visitwww.Gonzaga.edu/MAcc, www.Gonzaga.edu/MSTax or contact Jon Billings at (509) 313-7047 or via email at Billings@gonzaga.edu.